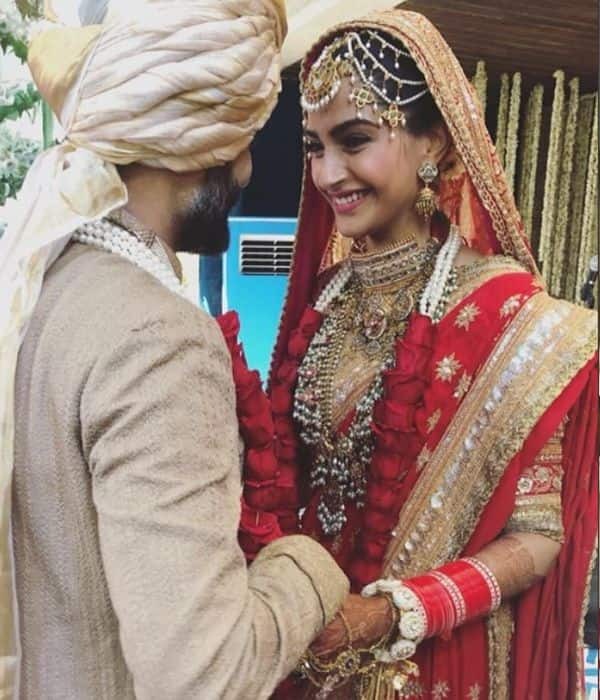 bollywoodlife.com 17 pics from Sonam Kapoor and Anand Ahuja's wedding ceremony that are winning the internet! 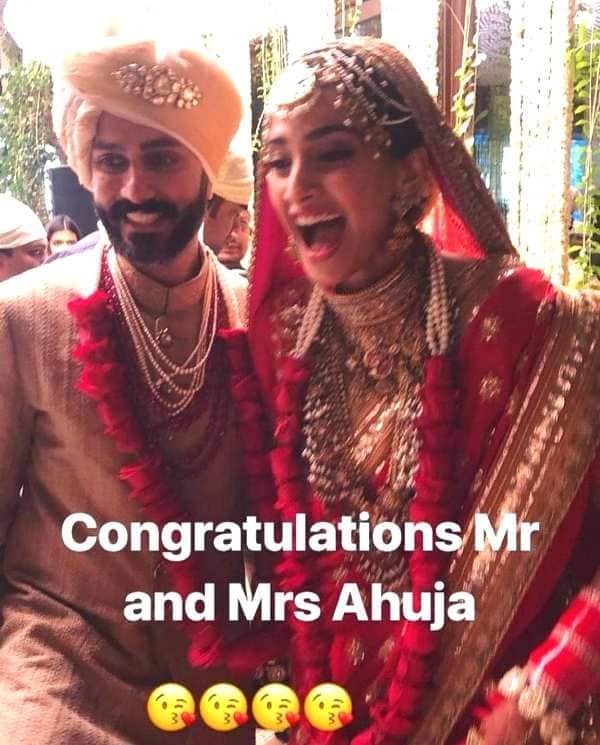 Here are ALL the inside pics from Sonam Kapoor and Anand Ahuja's wedding! 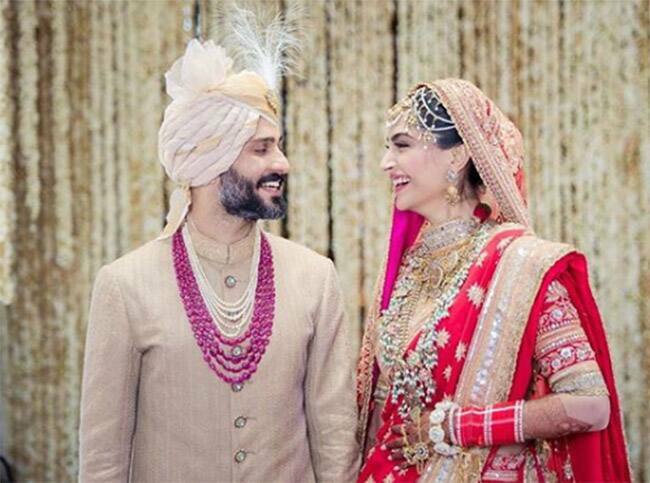 Goes without saying, Sonam Kapoor and Anand Ahuja’s wedding was one dreamy affair! The bride and groom looked so happy, so madly in love that every moment captured looks straight out of a romantic movie. Say for that matter even their wedding outfits were so beautifully picked that it indeed seemed like the wedding of the year. Guess this is exactly what happily ever after looks like. New beginnings definitely couldn’t have started on a better note than this. And then when you get to see so much love being showered on the bride and groom not just from the family but even from who’s who of Bollywood further proves how everyone genuinely wishes the best for these sweethearts. 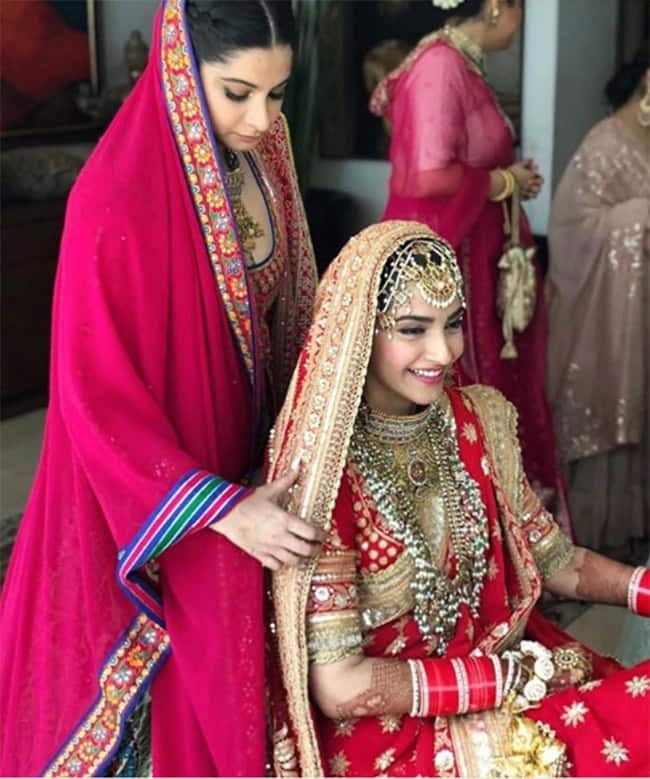 ALSO READ: Is Sonam Kapoor’s wedding outfit inspired from her mother Sunita Kapoor’s bridal look? 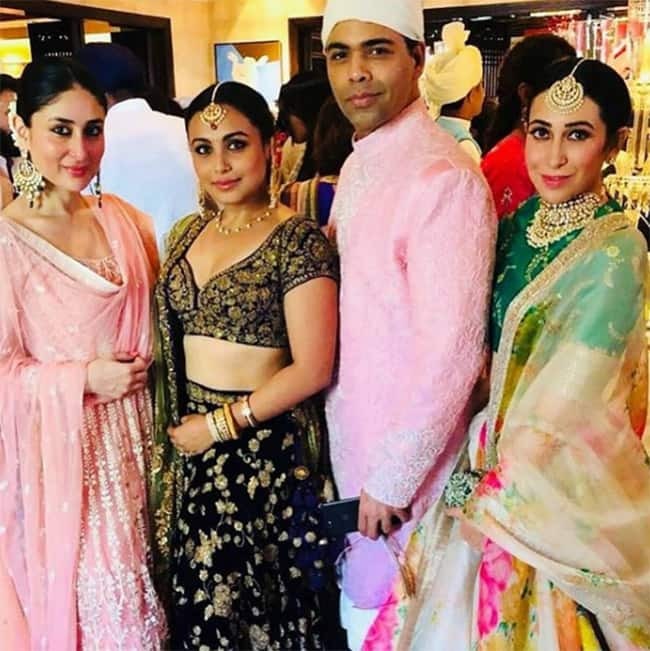 From Kareena Kapoor Khan, Karan Johar, Amitabh Bachchan to Aamir Khan, Rani Mukerji and Jacqueline Fernandez, Sonam Kapoor and Anand Ahuja’s wedding venue was lit up with who’s who of Bollywood in attendance. 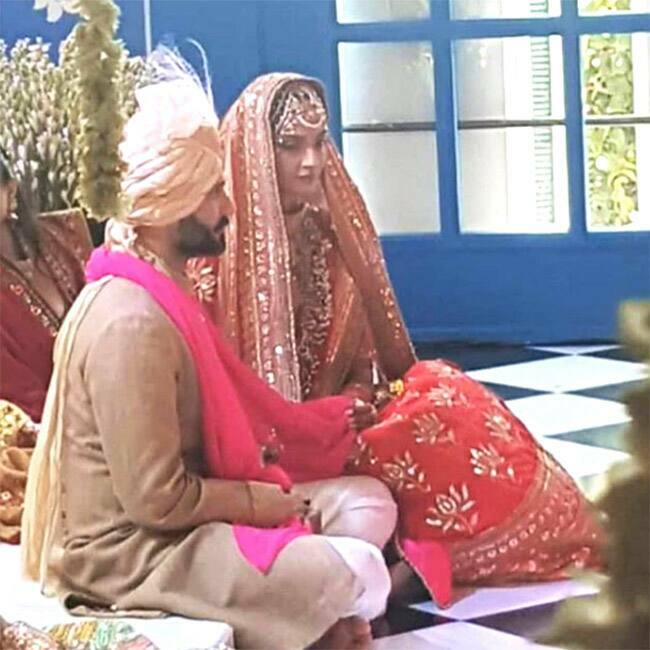 In fact, what was more heartwarming is to see all of them having a mini reunion as they joined Sonam and Anand in this new chapter of her life. Truly a day that will be cherished for life. 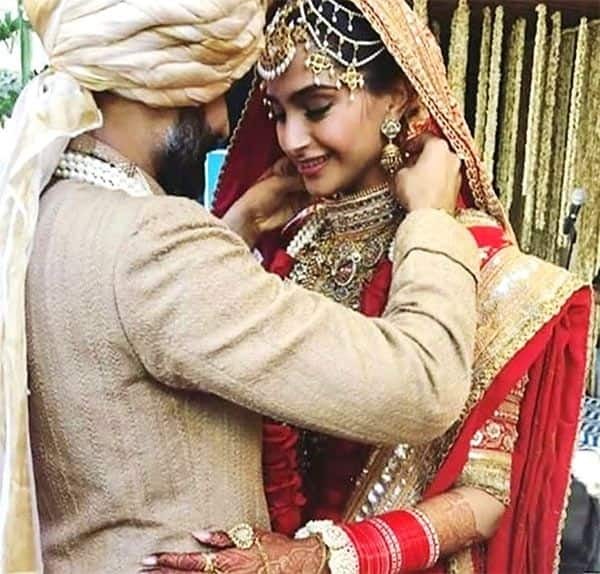 So without wasting a minute, we give you a quick round up of all the best inside pictures from Sonam and Anand’s wedding. Tell us if you don’t heart them! The wedding reception will be held tonight at The Leela with a galaxy of stars attending the do right from Shah Rukh Khan, Salman Khan to Alia Bhatt. So stay tuned to this space for more pictures because like they say, this is just the beginning of a crazy night! TOP 10 Greatest Photos of Sonam Kapoor's life! Sister Rhea Kapoor is performing all his duties of being a sister while she is needed the most by Sonam during this time. Meanwhile she stole some times in between ritual to share a candid moment with bride of the day. 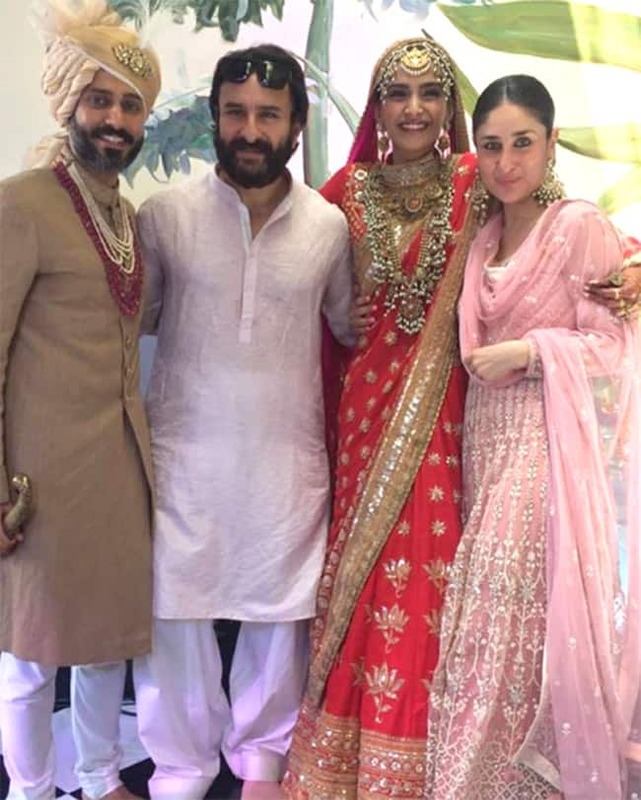 Finally, now the fans could call them Mrs. and Mr. Ahuja as the couple is finally hitched after successfully abiding by all the rituals. 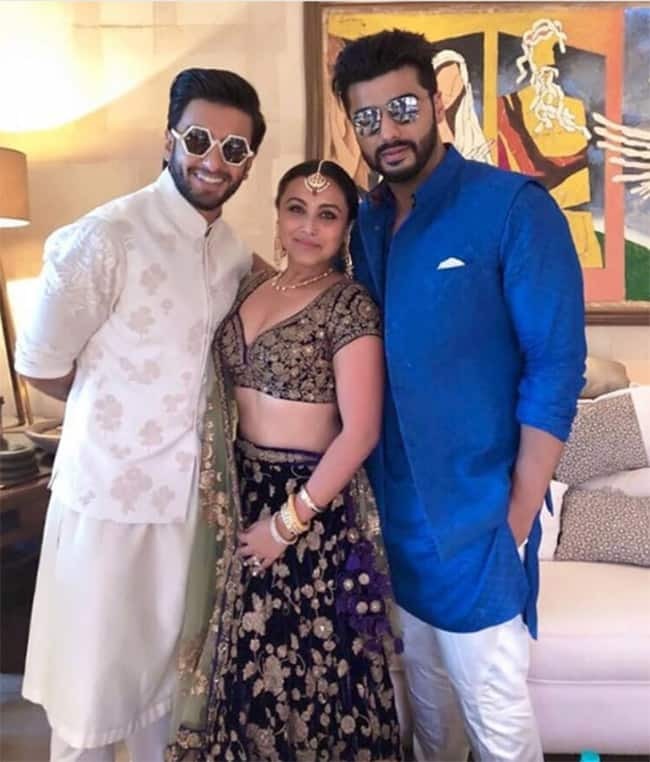 Rani gave a rare appearance in complete traditional attire at Sonam’s wedding while Ranveer was completely unexpected too. 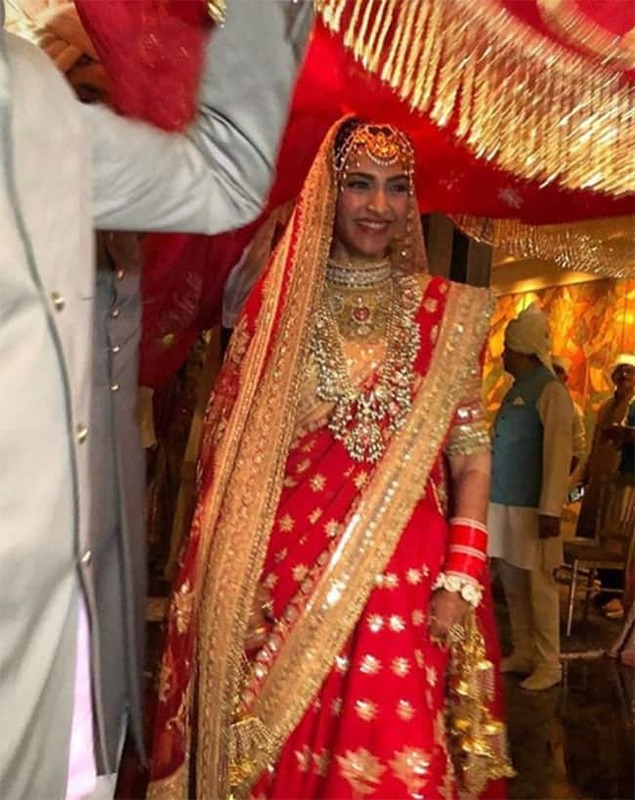 Sonam was brought into the venue till her groom under a red embellished dupatta held by four of her brother, Harshvardhan and Arjun standing in front. 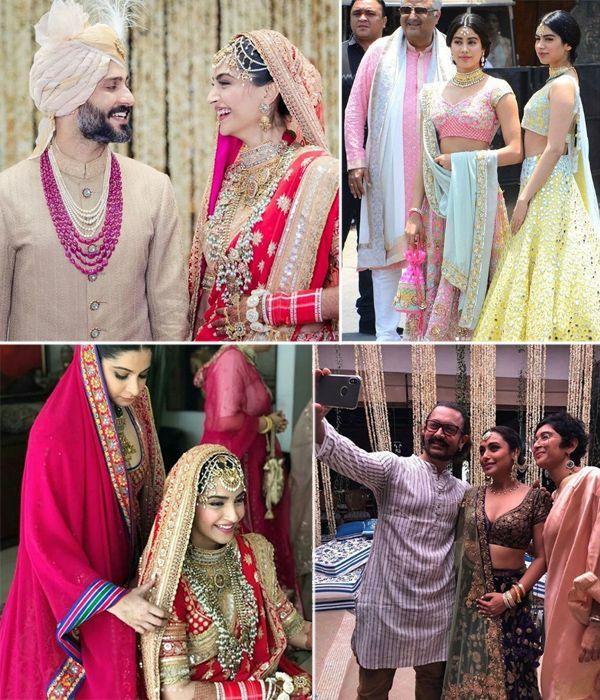 Seems like Sonam Kapoor’s wedding turned out to be a platform for rekindling of celebs, as many of them saw each other after long time. Sonam and Anand were calmly sitting (probably for the first time in any of their pictures) while the vows were being read to them. Newly-weds Mrs. and Mr. Ahuja pose with the royal Khan couple soon after getting hitched. But we seriously miss Taimur in the picture. 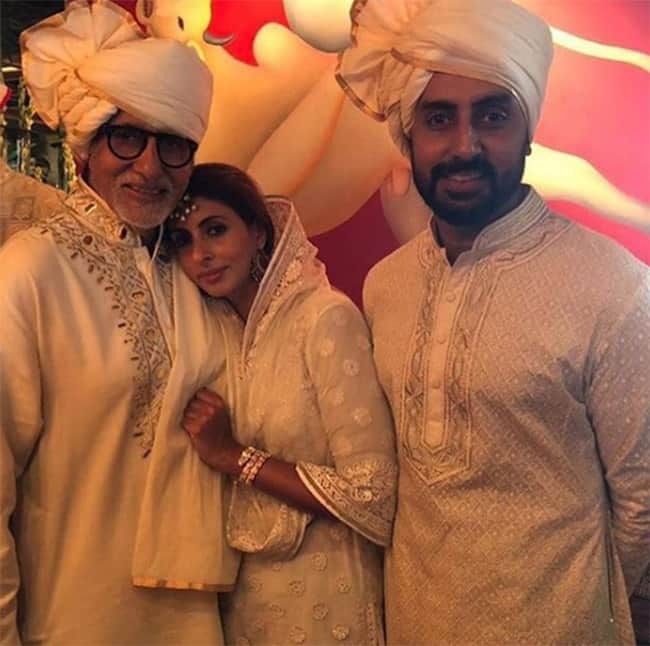 All the three Bachchan’s look extremely royal as they color coordinate their outfits for Sonam’s wedding.